Red and Blue available. H6cm (excluding hanging loop) x W6.5cm (at widest point). 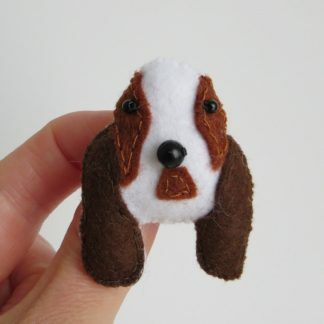 Made from felt and filled with polyester stuffing, these boxer dog keyrings are designed and hand sewn by me after a commission from a boxer owning friend. He’s called Trevor! Three black beads finish his facial features. Ribbon patterns and colours may vary. Also available as a bag charm. Detailing to one side only. Materials: Felt, polyester stuffing, keyring, beads, ribbon.